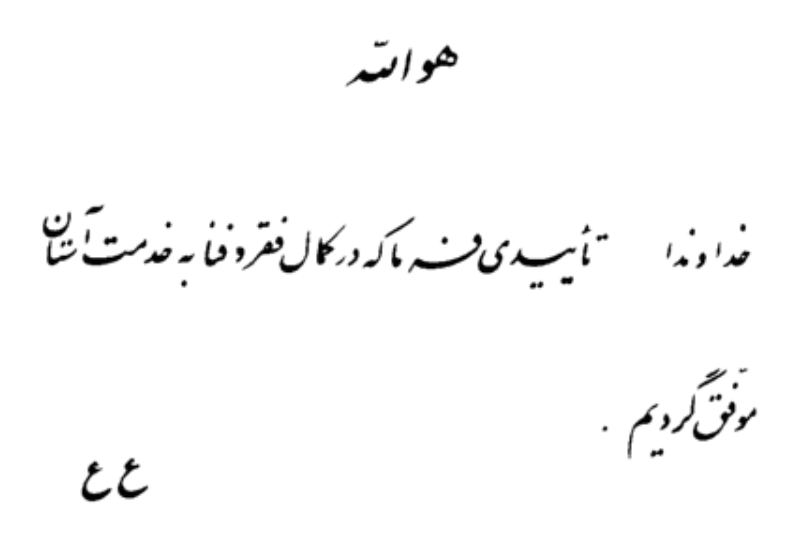 What follows is my provisional translation (in other words, not official or authorized; see here for more) of a prayer from ʻAbduʼl-Bahá, the original text of which is published in Hovaʼlláh, vol. 2, p. 7. It appears that this prayer was revealed for children or youth, as the prayers included in Hovaʼlláh all fall under this theme. O God! Assist us in such wise that, destitute and insignificant though we be, we may still render service to Thy sacred threshold. A scan of the complete Persian text of this prayer appears below.